Parties and sophistication are always part of year end festivities. For the special season your skin deserves to be as radiant as your chic and refined wardrobe. At Lancaster, even in the heart of winter our beauty obsession is glow! Put yourself in holiday mode and let your skin’s natural light shine through, with a little help (of course). Just the right dose of skincare blended with the perfect touch of glimmer, to your heart’s desire. The formula for subtle glow: a moisturizer that corrects signs of aging and amplifies natural luminosity, and a protective makeup that gives an elegantly light tone to your complexion in a flash. The formula for medium glow: a skincare duo that softens and brightens skin, paired up with gentle adjustable tanning solutions for a deftly sunny result. The formula for intensive glow: a day cream that protects skin from dulling pollution and SPF charged makeup for risk free winter sun exposure. Energy booster, hydration booster, radiance booster, serum is the perfect skincare complement for beautiful skin all year round in all temperatures. 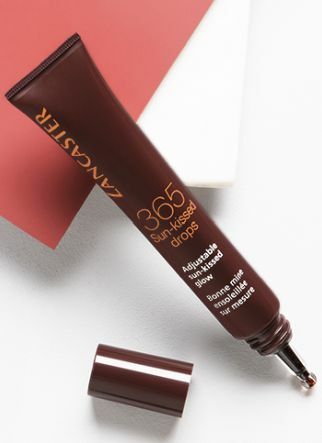 Lancaster even created 365 Skin Repair Serum to adapt to every skincare routine. After so many weeks muffled in big woolen sweaters, it’s time to start thinking about springtime! Get back into the light with your warm weather wardrobe and even your favorite bathing suit for the first sunny days. Beauty wise, guilt-free cheating with a high tech self tanner. Here are the 3 golden rules for a sunny spring glow. Sub-zero temperatures, cold winds, over-heated interiors, it’s that time of year again. Cold climate and winter weather conditions can be aggressive, and your skincare regimen should be adapted to keep skin healthy. Here are the 3 golden rules of the season for a luminous complexion. Glow isn’t only for the holiday season. Make your beautiful light shine through all year long with these easy-to-keep resolutions. For beautiful skin, the right products are good but putting them together is even better. Environmental pollution, blue light and UVs are all present in winter even with the low temperatures. Identify the problems and track them down for a glowing complexion even on the coldest days. Between summer sunshine and winter frost, skin will face weather variations which can cause redness, roughness and even dull complexion. For beautiful luminous skin all year round adapt your skincare to seasonal conditions. Skin irregularities, dull complexion and redness, all signs of cutaneous reaction to environmental pollution. Time to take action with a daily skincare routine that’s gentle and protects. 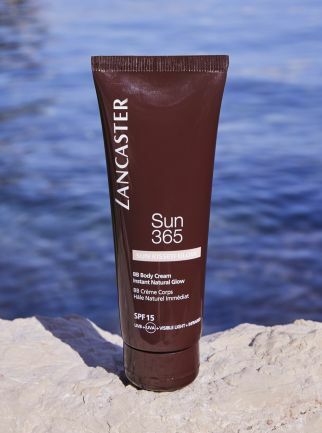 Reveal your glow with Lancaster Guide for an outstanding tan.